Do you want to experience yoga, but require some assistance with stability? Chair yoga is a gentle form of yoga that is practiced sitting on a chair or standing, using the chair as support. Discover the exhilaration of getting upside down and learning how to balance on your hands! On Wednesday evenings we invite you to the sangha. 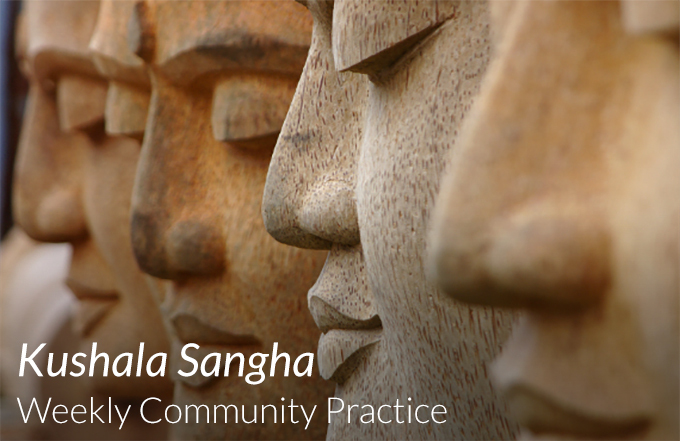 Sangha means community, and it is open to everyone on a drop-in basis. Our evening begins with a meditation, facilitated by a Kushala teacher. We will then open into a discussion on selected topics ranging from yoga philosophy to current events that impact our community and lives.